Bronze. The material once associated with wealth and social nobility. Before it went out of fashion, bronze was a mantelpiece of aristocratic furniture, adorning tables, chairs, clocks and timepieces. With the introduction of the 20th century, the material was no longer seen on timepieces and had arguably disappeared, till Anonimo resurrected the Bronze age less than a decade ago. 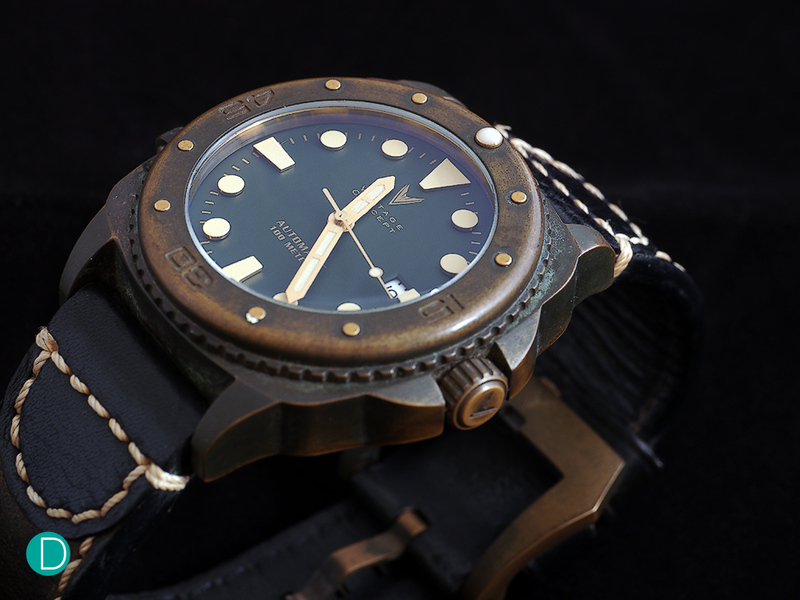 Nonetheless, it was Panerai’s Bronzo that cemented the popularity of bronze cases, in particular for its uniqueness and patina. While many watch lovers love these cases for the way it looks, few actually understand the material. So what exactly is the fuss over the brass/bronze watches? Is there any practical value to this case material other than its aesthetics? A common myth revolves around the material’s properties, as ‘rusty’, ‘stinks’ and gets ‘tainted’ over time. All of which wrong to a large extent. Let us explain why. Contrary to popular belief, Bronze is in fact a very corrosion resistant material. The ‘taint’ or darkening layer that it gains over time is a result of oxidation. This layer actually protects the material, and prevents corrosion. This phenomenon occurs naturally and stalls rusting, unlike steel, which can rust till the entire material block disintegrates. This natural ‘taint’, a result of oxidation and aging, is commonly known to watch lovers as patina, when present on watch cases, gives the watch a vintage, rustic feel. The bronze case exudes a certain rustic element that elevates the watch beyond its age and adds a finishing touch to the Prince of Wales fabric. Other questions raised with regards to the material is its strength and hardness. 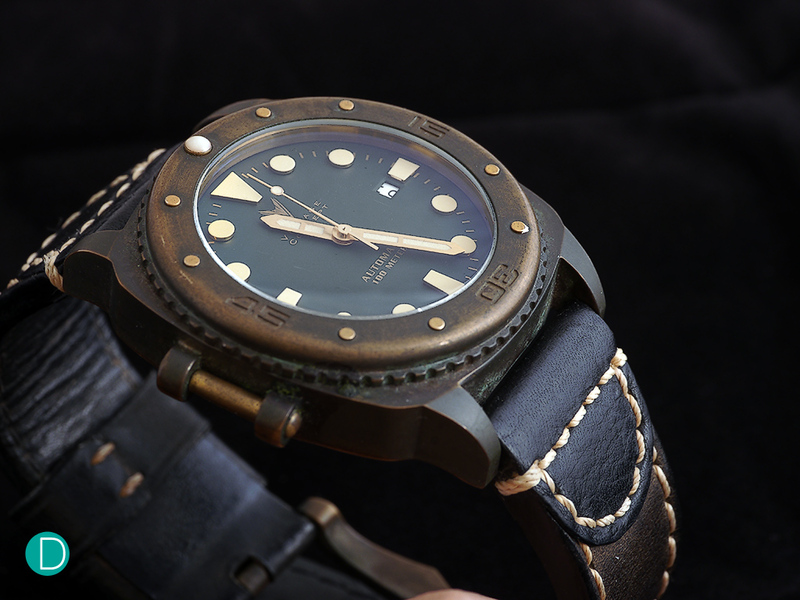 A usual bronze is considered to be a quite soft metal, except the alloy UNI 5275, which is used for making watch cases. Seen below is a comparison of material properties between UNI 5275 and 316L Steel. Between both metals, bronze is not the inferior material in terms of its physical properties, in fact, on ornaments and in particular watch cases, it has the benefit of being more ‘scratch resistant’. Wear marks are less visible and can be easily polished away, as compared to scratches on a polished stainless steel case. 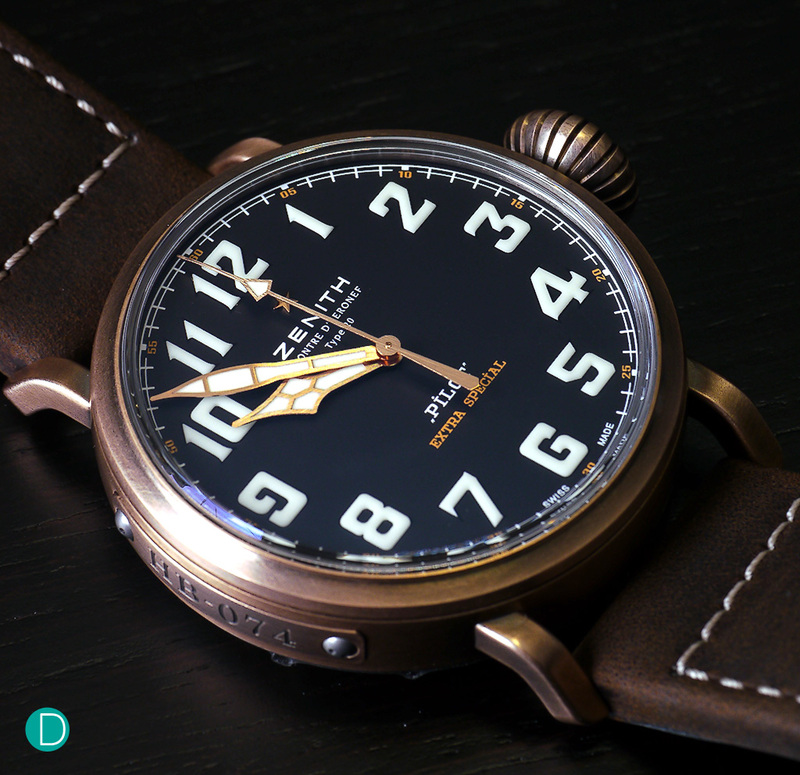 Furthermore, the material’s ability to change in colour, from an almost rose gold hue(particularly on brass cases), to a dark brown colour; the natural patina is highly sought after and gives much character to any timepiece. With the proliferation of crowd funding and micro watch brands, there has been a sharp increase of new entrants to the micro watch brand scene. Many young startup brands offer variant adaptations of popular timepieces that are usually unattainable for the masses. 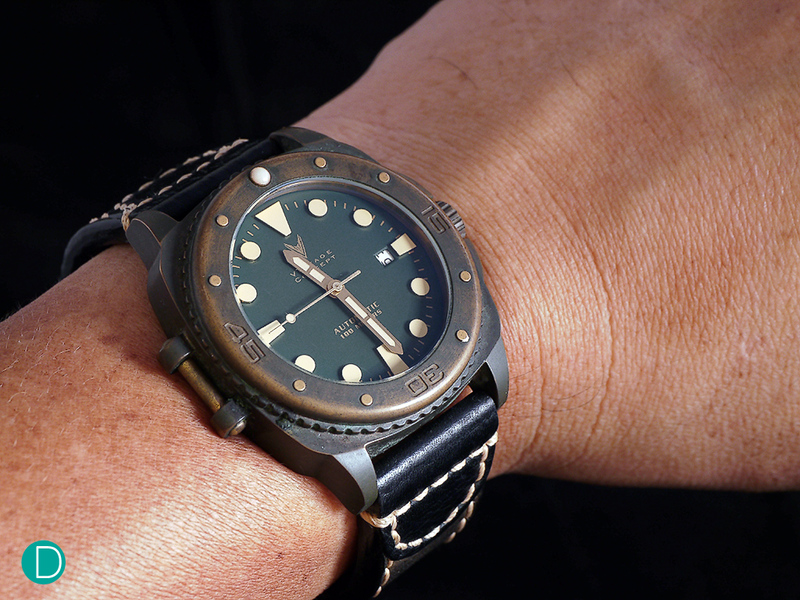 In particular, the diver’s style has been replicated time and again, with ‘some’ tweaking to the design, of course. Some stand out more than others. 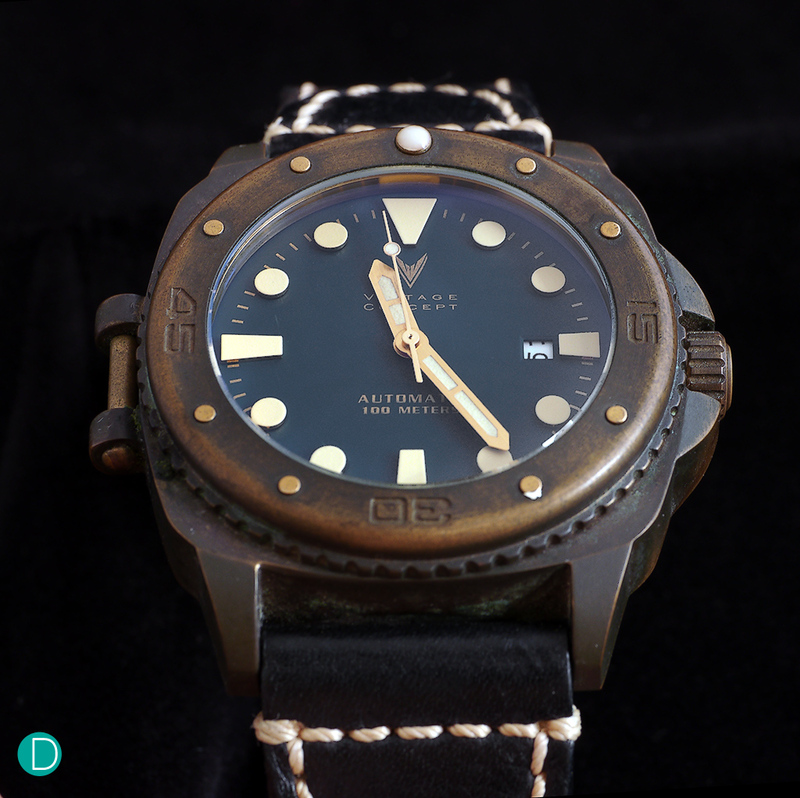 In this article, we look at Vintage Concept’s Brass diver. Brass diver offering from Vintage Concept. The diver’s watch is a limited edition piece with gilt coloured dial font, raised numeral markers in patina lume, and complete with brass crown and buckle. Darkened patina contrast on the bezel and centre case gives the watch a rugged feel. A transparent caseback reveals a Miyota movement that drives the watch. The 45mm diver on the wrist. 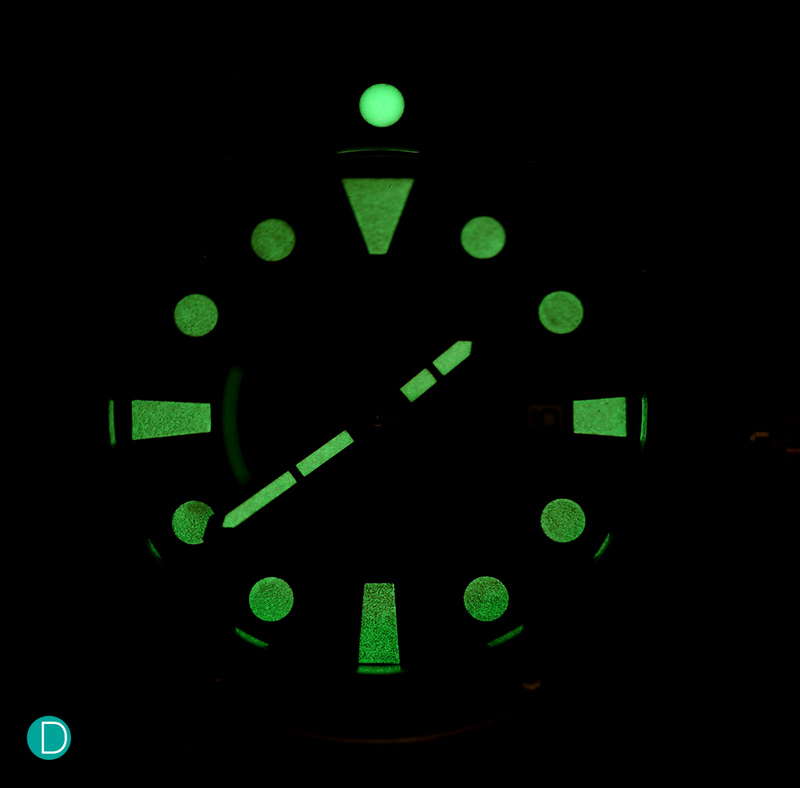 Lume shot of the Vintage Concept diver with a visible moving seconds hand at 9. Priced just over a $1000, the Vintage Concept Brass Diver comes in a limited edition run. The brass case is matched with a dark green dial with gilt coloured font and patina lume markers. The rustic look of the watch is completed with a thick stitched ammo strap with brass buckle. 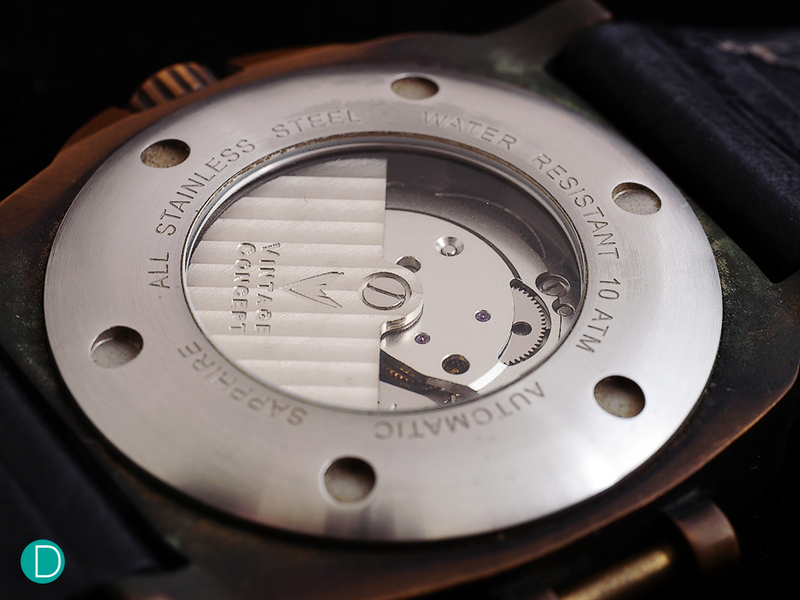 While not exceedingly brilliant, we thoroughly loved the patina quality of the case which worked well with the overall concept of a rugged diver’s watch. Notwithstanding, there are a plenty of other interesting brass/bronze divers in the market today. Notably, the diver IV from Movas watches, Zelos’s bronze Helmsman and Abyss collection and Magrette’s bronze diver. The former two are Singaporean brands. While their offerings are at a pricepoint more accessible to most, ranging from S$800-$1500, there are also the big player brands with more classy collections and a matching price tag to boot. 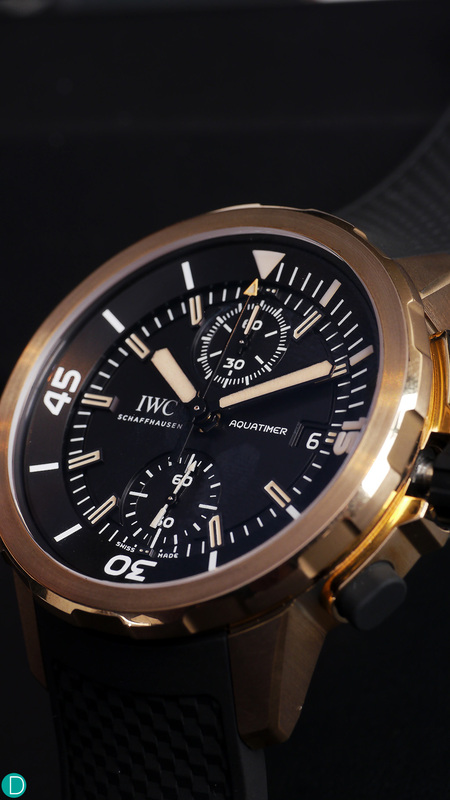 The 44mm bronze cased diver is powered by a self-winding 68 hour power reserve, IWC 89365 calibre. The beautiful colour hue of the bronze case out of the box resembles an 18k rose gold case. While we have yet to seen a worn variant of the watch with patina, the matching tone of the case, hands, numeral markers and inner bezel indices is quite remarkable. The resurrection of bronze used in watch cases has been a great success. 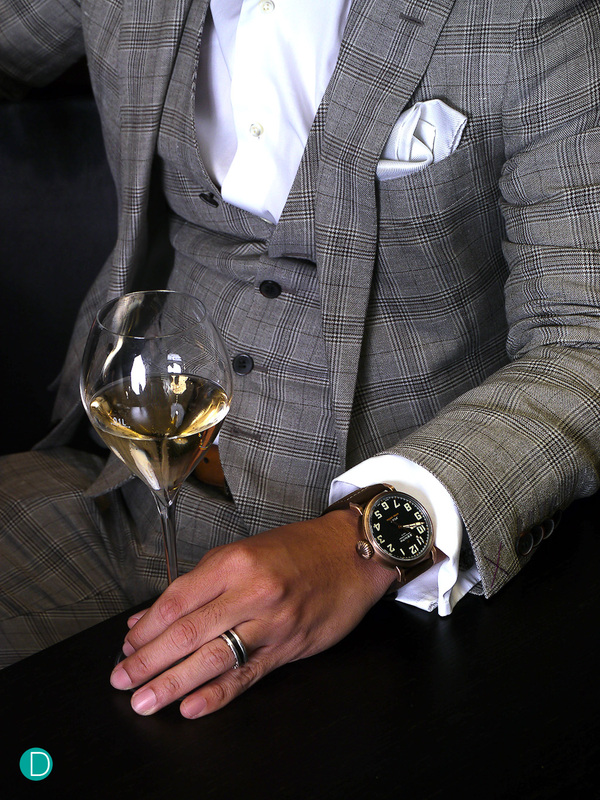 Some have argued that the bronze material may in time become a staple in watch collections on regular production pieces. However, our take is that bronze cased watches will most likely be marketed to be more exclusive and only available in limited editions. And this means that most bronze watches from the big brands will remain increasingly out of reach for most, an opportunity for micro brands to market their lower priced ‘bronzos’. Opportunities and threats aside, we find that the bronze watch is truly a statement piece, and a should have in any collection.